3. Update the information for each child/car seat. Delete the unused/extra "cards." 5. 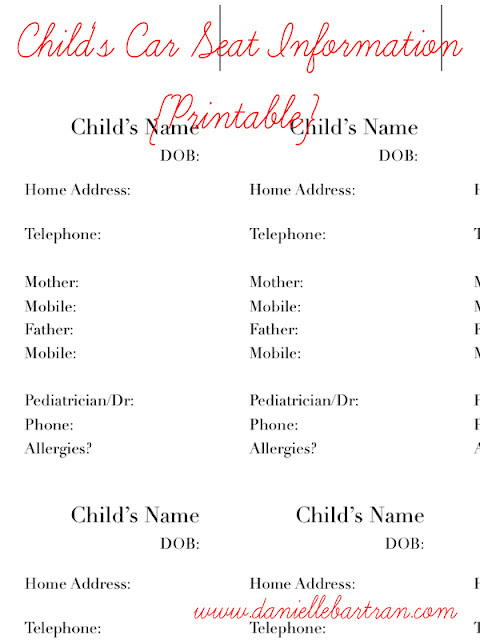 Use the dashed lines along the edges to trim the page (each card is business card sized) *You can also print onto Avery 5371 Business Cards, but it is not necessary if you don't have them on hand! 7. Be sure to change the information if you move or update phone numbers, etc.